For the record I stand with the frustrated and hungry masses in Zimbabwe voicing their anger through peaceful protest but I struggle to muster support for violence and looting. I am told that criminal elements and some usually law-abiding citizens succumbing to hunger, took advantage of the situation to loot shops. That's wrong and cannot be justified in any way. If we condone it, it means anyone can go into anyone else's house and take whatever they want under the guise of hunger and protest. But this also does not mean that every protester is culpable. Many people I spoke to in the townships were appalled by the looting. They recognize that the door to lawless plunder and looting is not a readily retractable one. We must recognise and condemn in equal measure the plunder of our national assets and public resources by corrupt politicians. Where identified, and evidence exists, plunderers and looters should be held accountable in terms of the law. There is a second matter related to the first: there are unverified reports about of house raids and abductions disguised as arrests of mainly young men in the same way this was done by the Gukurahundi and the CIO in the 1980s. After arrest, these men are severely beaten and many have yet to return home. Some are feared dead. Internet may be shutdown for now, placing these actions outside the world's direct view but perpetrators should realize that they remain accountable for these actions. In many cases, police officers and other abductors have been identified. For the avoidance of doubt, perpetrators must realize that in 2019, the arm of national and international law is longer and more effective than it was in the 1980s. President Gbabo was just acquited after spending 7 years at the Hague. Jean Pierre Bemba spent 10 years. 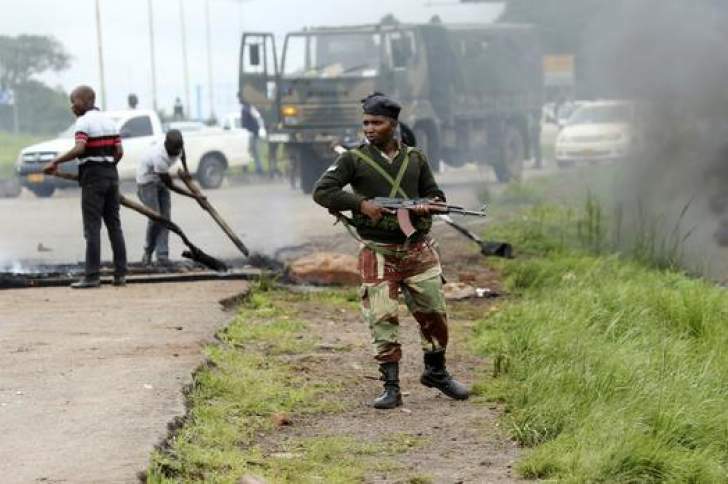 Perpetrators should not fool themselves that Zimbabwe is not a state party to the ICC. This will not stop the ICC from investigating and indicting current abuses. Military commanders and civilian superiors of perpetrators beware too. The international criminal law is clear on culpability of commanders and superiors for ordering, failing to prevent and failing to punish perpetrators of crimes. Jean Pierre Bemba and Gbabo were never alleged to have personally committed any of the crimes for which they spent a decade in prison for. The former prime minister of Rwanda, Jean Kambanda is currently serving a life prison sentence for genocide. So remember that actions have consequences. The situation in Zimbabwe requires cool heads. The government must recognise the anger of the masses. They have endured much over 4 decades of Mugabe's rule. They have yet to see any of the promised benefits of the "new dispensation" which has promised much and delivered little. It must recognise its own responsibility in making an insensitive and ill-timed announcement to increase fuel prices without a corresponding plan to simultaneously increase people's income. It must recognize that the government's policies are responsible for wiping away entire livelihoods and pensions. That citizens know just how well politicians live while they suffer. It must recognize that there have been many other bubbling issues including concerns by workers in various sectors including the public service including the doctor's strike- all of which the government is directly responsible for. It has to recognise that the situation was already "volatile" and the fuel increase was like throwing fuel into it (pun intended). Having recognized these issues, the government must play its part in resolving them. It is fast losing the legitimacy that it steadfastly claims it gained in the elections. It must engage the concerns and the people in a lawful way. Anything else will not end well.